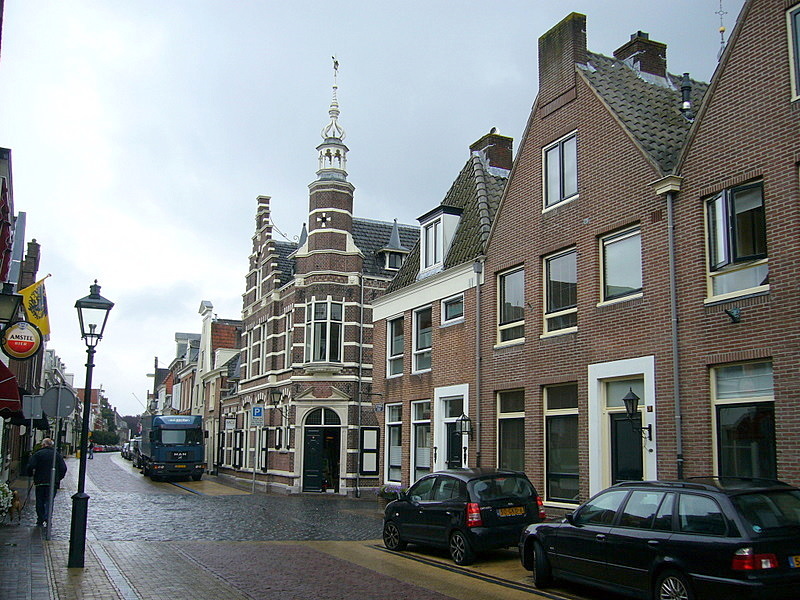 The city of Naarden has existed for a long time. 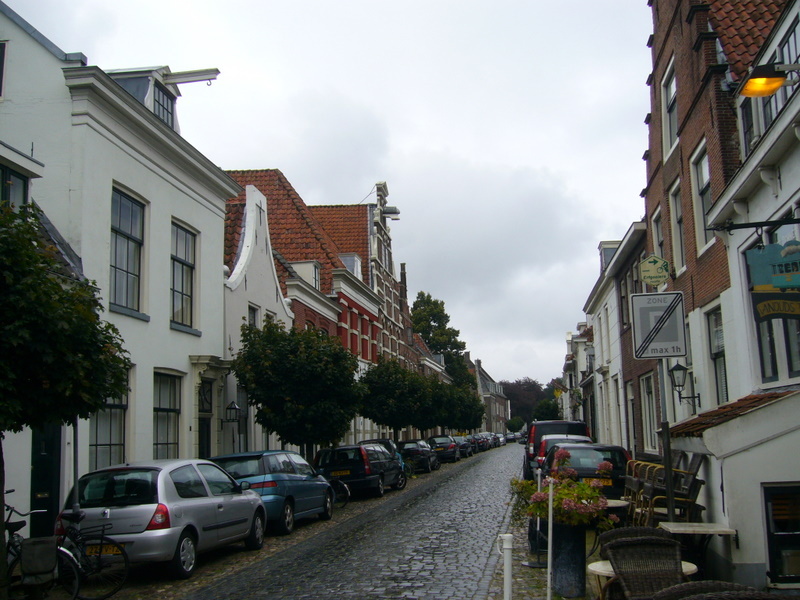 It is a medieval city, which developed as a fortress and as a part of the Dutch waterline. 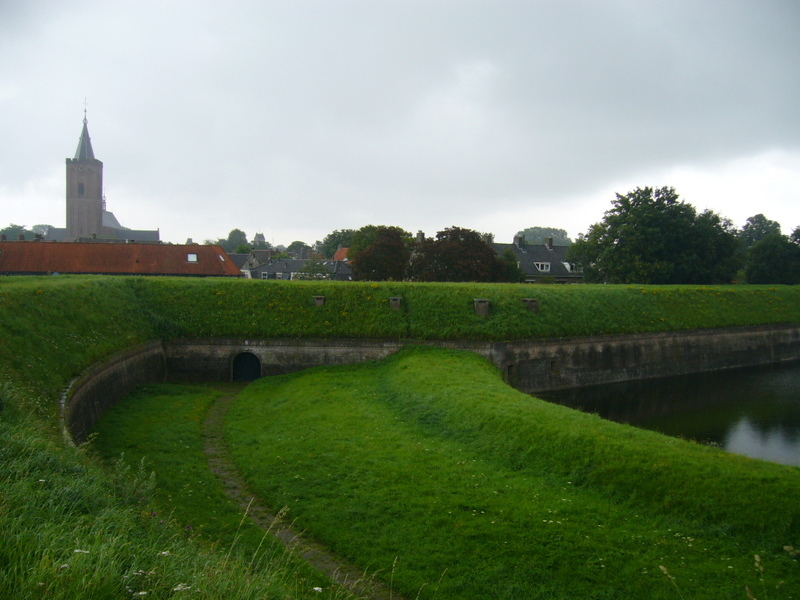 The city is surrounded by numerous moats filled with water. 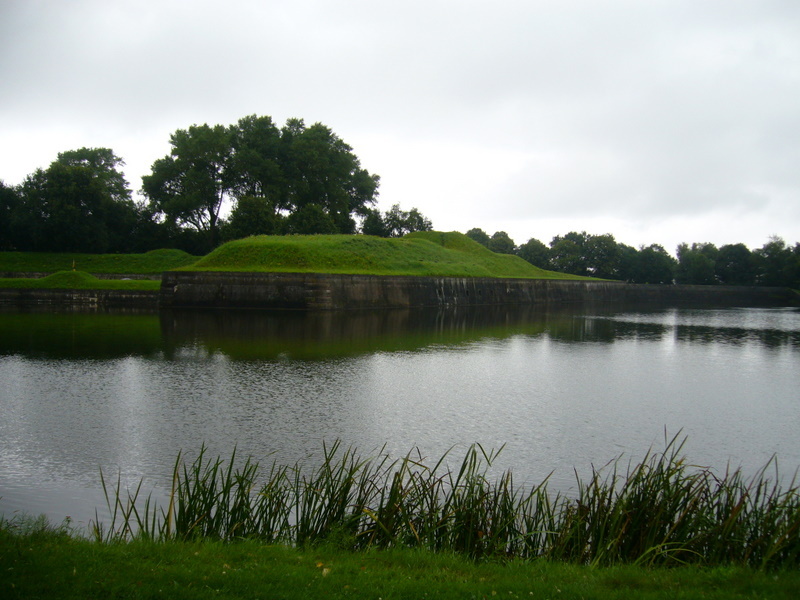 If the weather is good, you can even take a boat tour to see the fortress moats. In 16th century Naarden was destroyed by the Spanish troops. 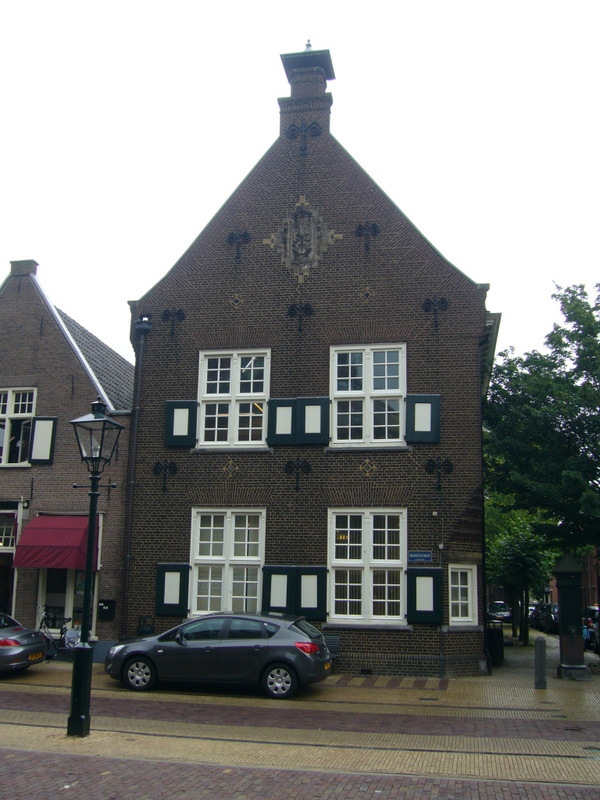 Some buildings remind the tragic events of the past, e.g. 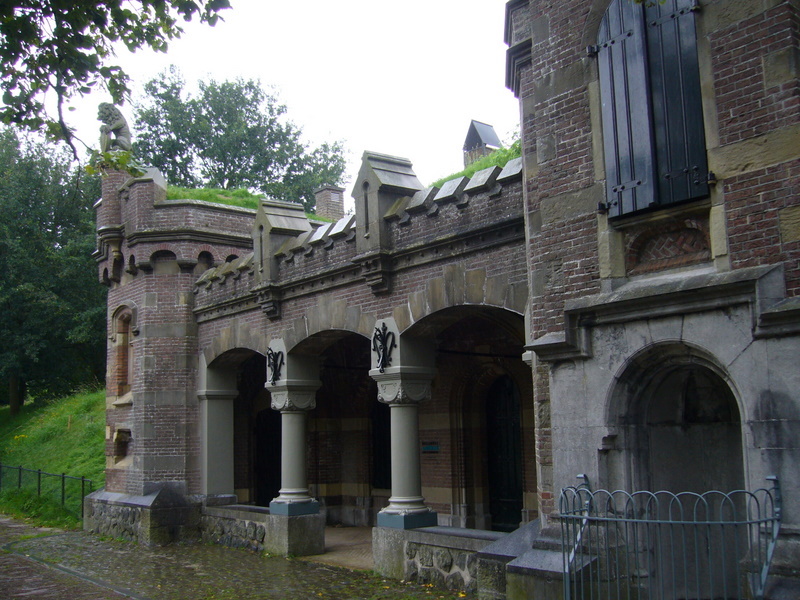 the Spanish house (het Spaanse huis), where hundreds of Dutch soldiers were killed. 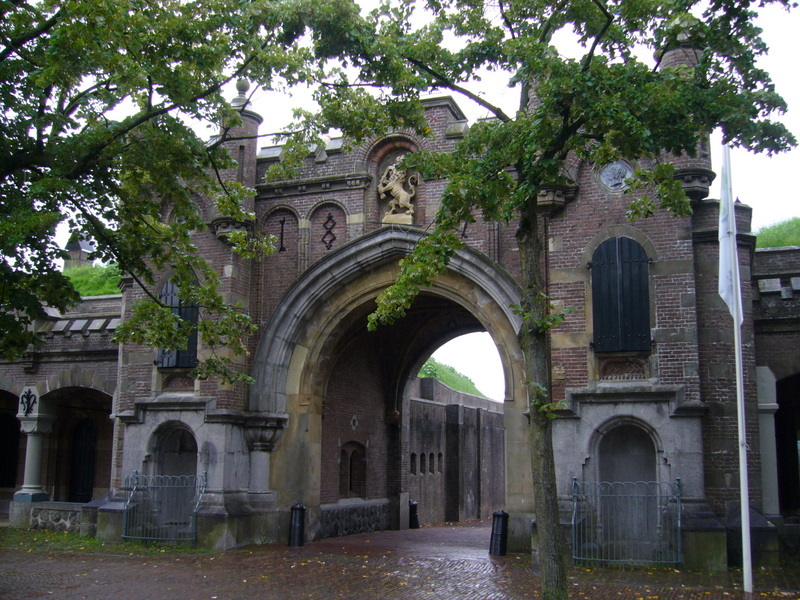 The Utrecht gate was built in 1877. One of the rooms inside was used as a prison. 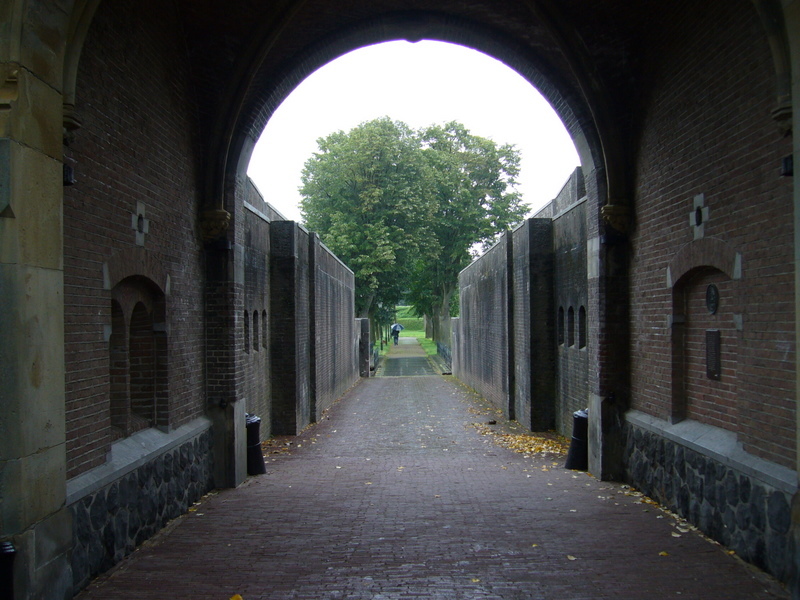 Behind the gate there is the bridge accross the moat and further you will see ravelin N6 (‘ravelijn nummer 6’). 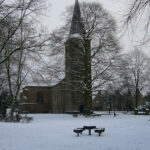 In the middle of the town you will find the St. Vitus church, that dates from 1380. The Catholic paintings suprise you by their beauty. 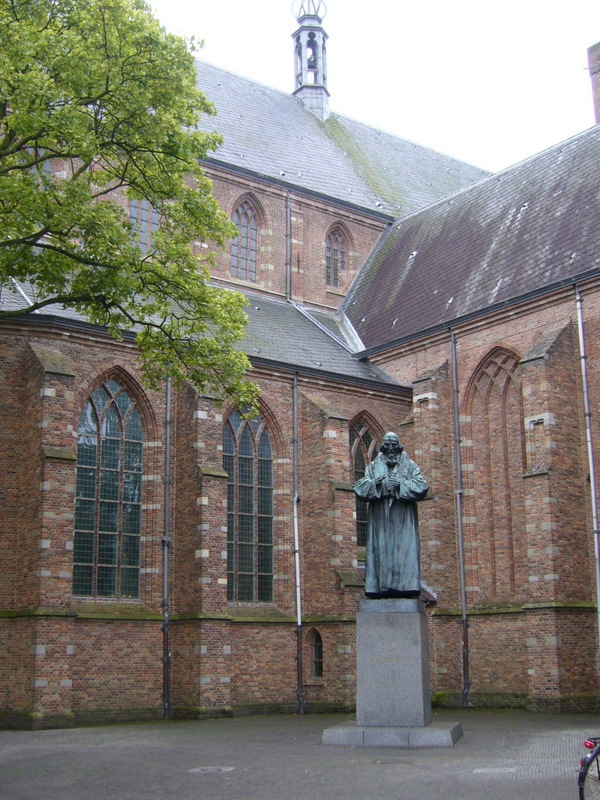 The statue of Comenius (1592-1670) stands next to the church. He is a famous Tsjech philosofer and teacher. 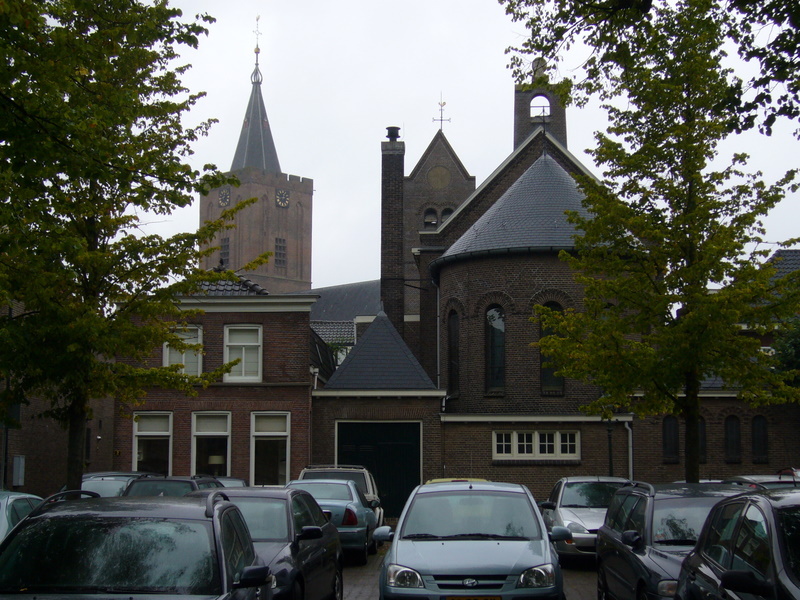 The last years of his life he lived in Asterdam, but was buried in Naarden. 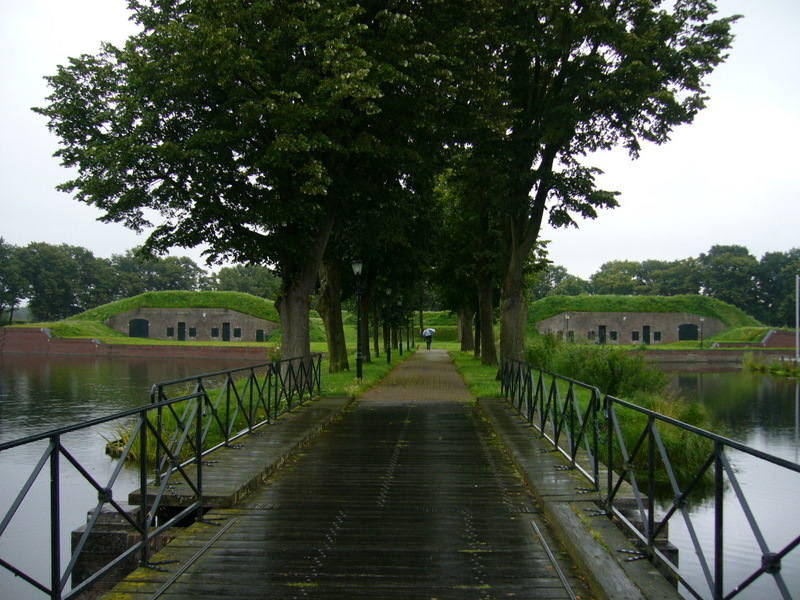 There are many military barracks, because Naarden was important for defense of Amsterdam for centuries. 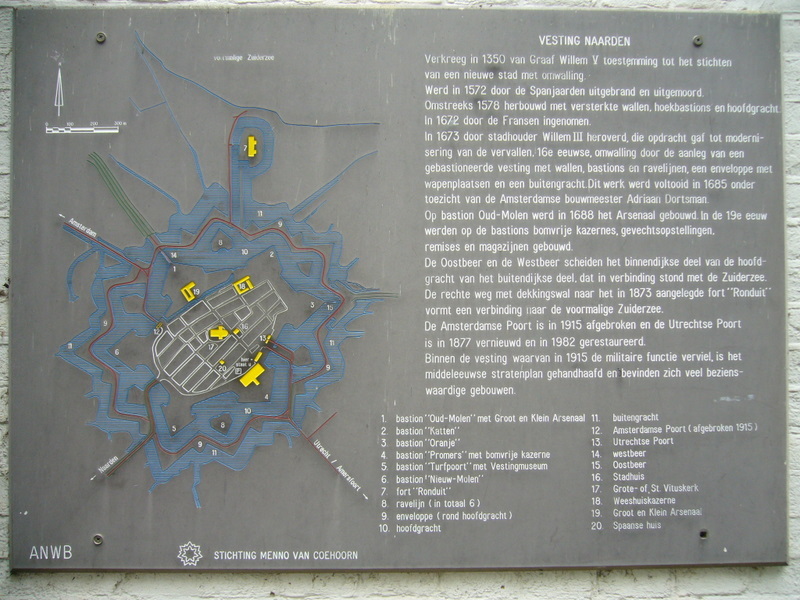 Nowdays there are no troops in Naarden, they left the city in 1986.